Colossal Koopa Paratroopas are gigantic Koopa Paratroopas. Colossal Koopa Paratroopas appear in Giant Land in Super Mario Bros. 3, and do not act differently than other Koopa Paratroopas. Like Giant Koopas, their large shells can be used to smash Big Blocks, and can be picked up. Only hopping green-shelled ones appear. In Super Mario RPG: Legend of the Seven Stars, the Tub-O-Troopa enemies that are only found in Bowser's Keep bear a resemblance to Colossal Koopa Paratroopas. In Puzzle & Dragons: Super Mario Bros. Edition, they are known as Big Green Koopa Paratroopas, and have a variant known as Big Yellow Koopa Paratroopas. Big Green Koopa Paratroopas are Water-attribute enemies. In battle, in addition to attacking normally, they may occasionally use Big Shell to nullify Fire and Dark attribute damage for three turns, and may also use Frenzied Blows to deal a large amount of damage. When defeated, they may randomly drop Super Water Blocks of Green Koopa Paratroopas, while defeating them with 10+ Combo attacks guarantees they will drop Rare Fruits. As Water enemies, they take extra damage from Wood attribute attacks and less from Fire damage. Only three appear as enemies in the entire game: in the last regular battle in World 4- and its Special World counterpart, and in the first battle of Course 2 of the Fixed Challenge mode in Score Attack. A Big Green Koopa Paratroopa also appears in the demo version of Puzzle & Dragons: Super Mario Bros. Edition, as the boss of Intro. As teammates, Big Green Koopa Paratroopas gain a Light sub-attribute (being Water/Light teammates), and have an HP rating of 6/6, an ATK rating of 2/6, and a RCV rating of 3/6. Their Big Shell Skill changes any Fire and Wood Orbs on the player's Orb field into Water Orbs, while their Awoken Skill Health Boost raises the HP of the player's entire team. Big Green Koopa Paratroopas use Fruits and Rare Fruits to raise their Skill Levels. 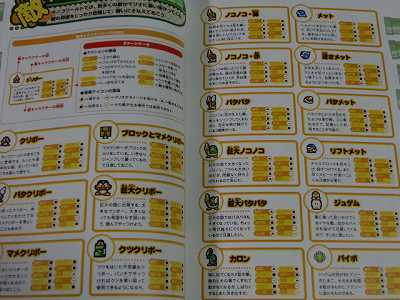 The player can create a Big Green Koopa Paratroopa by transforming a Green Koopa Paratroopa with five Super Mushrooms. As teammates, Big Yellow Koopa Paratroopas gain a Light sub-attribute (being Light/Light teammates), and have an HP rating of 6/6, an ATK rating of 3/6, and a RCV rating of 3/6. Their Shining Shell Skill changes any Fire and Dark Orbs on the player's Orb field into Light Orbs, while their Awoken Skill Health Boost raises the HP of the player's entire team. Like their green-shelled counterparts, Big Yellow Koopa Paratroopas also use Fruits and Rare Fruits to raise their Skill Levels. The player can create a Big Yellow Koopa Paratroopa by transforming a Yellow Koopa Paratroopa with five Super Mushrooms. In Super Mario Maker, Super Mario Maker for Nintendo 3DS and Super Mario Maker 2, they can be produced if the player puts a Super Mushroom onto normal Koopa Paratroopas; another way of creating them is to attach a pair of wings to a Big Koopa Troopa. In addition to their original green color, Colossal Koopa Paratroopas now come in red-shelled varieties, and each behave differently akin to their smaller relatives: green-shelled ones make consequent hops on the ground, heading towards the direction they are facing, and red-shelled ones fly in a straight pattern up and down. An abnormally large Koopa Paratroopa appears in the 1986 anime Super Mario Bros.: Peach-hime Kyushutsu Dai Sakusen! She captures Mario, and later Luigi and Kibidango, and takes them to her nest, where she attempts to feed them to her babies, which resemble large green baby birds. Mario avoids being eaten by feeding the babies the Laughing Shrooms he had been picking; he saves Luigi and Kibidango by pretending to taste Luigi and saying he's gone rotten. The babies then persuade the mother to go get them some dessert. She is last seen waving goodbye to the Bros. with her babies after they acquire the Super Mushroom. ↑ Nintendo Power Volume 13, page 8. This page was last edited on April 5, 2019, at 11:11.